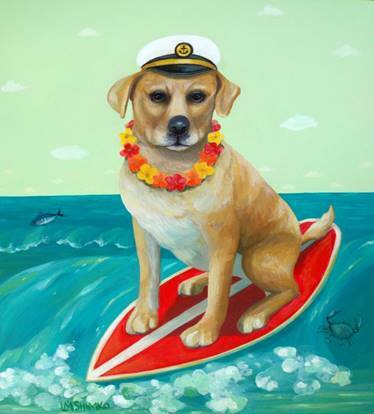 SEADOGS, the Seabrook Island dog and beach advocacy group, announced today that the annual Beach Walk will take place on April 25, 2019, starting at 5:00 pm on North Beach. The Beach Walk is a tradition that has helped the Seabrook Island community combine fun for dogs (and their humans) with charitable giving to worthy area animal causes. All residents of Seabrook Island are invited to join the SEADOGS Beach Walk on April 25, 2019, at 5:00 pm on North Beach. Access to North Beach is through Boardwalk 1 or 2. Please bring a snack or dessert to the Beach Walk. Drinks will be provided by SEADOGS. Your dog will have fun and so will you. Although not a requirement for attendance, please consider being generous to area dogs (and cats) at Valiant Animal Rescue and Relief by bringing a donation to the event. Valiant will also accept donations of partially used perfumes. Checks can be made directly to Valiant Animal Rescue and Relief. The rain date for the Beach Walk is April 26, 2019 at 5:00 pm. For more information on the event or about the SEADOGS, contact either Mitch Pulwer at mjpulw@yahoo.com.